There’s a new Groupon that gives users four months of Apple Music for free, users on Red Flag Deals have found. In the forums, some people are reporting that the code even works for people who have already received the usual three-month free trial that everyone gets when they sign up, though it’s supposed to be just for new subscribers. It doesn’t seem to work for student accounts, however, as I was unable to get the code to work on my Apple Music student account. The Groupon notes state that the promo is only for individual membership plans ($39.96 value). Still, since the Groupon is free, there’s nothing to lose by trying. A lot of users are also posting that they needed to disable their ad blocker to get access to the code, so if you can’t see the ‘Redeem Online’ button check your ad blocker settings so it shows pop-ups. Users have until August 8th to redeem the coupon and it should work even if you are already paying for a subscription. 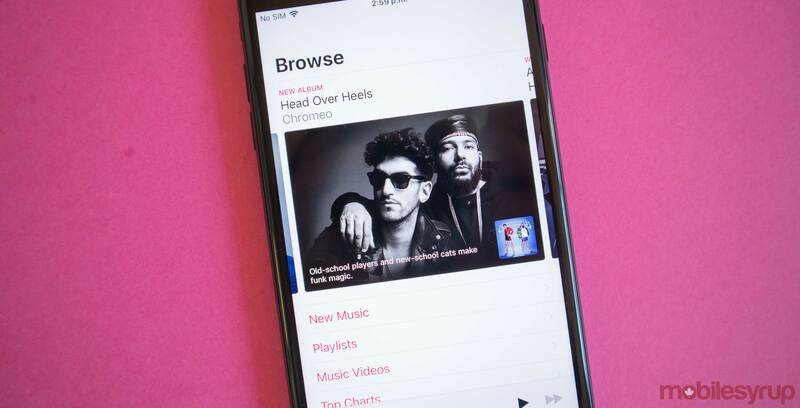 There are a lot of music streaming services out now and trying to find one you like can be difficult, so it’s nice to have a little more time to decide whether a streaming service is for you — or just to get some free months of service. Users can check out the deal here.